I always love a good psychological thriller. David Lynch's recent movies are films that I haven't figured out yet, and I have seen them so many times that they feel like second nature to me. I love "The Usual Suspects," and "Fight Club" and vintage Shyamalan (I can say that now, can't I), because their endings are like a sledgehammer. I love when a movie keeps me guessing, the pinnacle of the edge of your seat. Recently, I feel like we haven't had very many of those in recent years, and it makes me want to cry. Yes, we had "Shutter Island" in 2010 and "Take Shelter" in 2011 and man, do I love those movies. But for some reason, they have burnt out, either that or I haven't been looking in the right spots. The key to a good psychological thriller and the key to a good twist ending is simple, don't cheat your audience. Your ending can blindside, but it has to be earned. It has to be something the audience can piece together. Nobody likes a joke with no punchline, nobody likes buying a puzzle with 250 pieces then realizing one piece was never put in the box. There can be twists and turns, but there always has to be a form of clarity. No matter how buried in the story it is, it has to be there. I hate it when directors will just pull an ending out of their asses and call it edgy or twisting. I hate it when directors make rules up in their movie as they go along. That kills the experience for me, and I am sure I am not alone in thinking so. "400 Days" is a pretty niffy psychological thriller, with a huge cheat of an ending. I am sure half the audience that lays eyes on it will find it ambitious and try to decipher meaning in the ambiguous ending. But for me, its balderdash. Its a non-ending. There is no explanation for anything that happens in the final half hour. I don't care how carefully I watch the movie, I don't care how many times you watched it. There is no form of clarity. There is a difference between leaving a story open ended for the audience's interpretation, then there is just plain not telling your story. I firmly believe that "400 Days" does the latter. 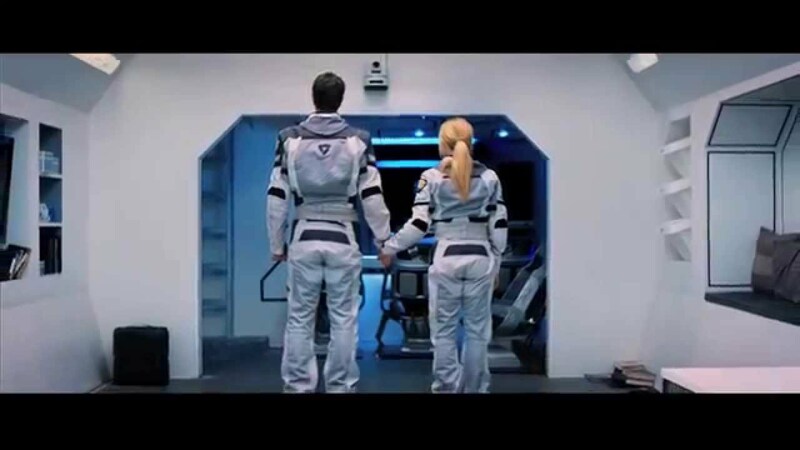 "400 Days" features four astronauts; Theo (Brandon Routh), Emily (Caity Lotz), Bug (Ben Feldman) and Cole (Dane Cook). These astronauts are chosen for an underground shuttle simulation that tests the effects of space travel to distant planets. If any of the astronauts leave the simulation early then it is a failure and their careers as astronauts will be over. They are told that it will last 400 days and that several problems and scenarios will pop up along the way that they have to work through. The simulation begins fine, but then each astronaut begins to loose themselves in their own way. I bet you can guess where this film goes from here. We as the audience must decide if what is happening to these astronauts is real or if it is all part of the simulation. I was expecting the movie to not give a clear answer. The first half of "400 Days" works because it does a good job of keeping you guessing. But then all that anticipation and all your personal theories are dropped when the film just sort of...ends. The film pulls you in about a thousand different directions and it gets to the point that nothing makes a whole lot of sense. Are the astronauts suffering from hallucinations or really seeing what they are seeing. If so, how do these hallucinations connect to everything we learn in the last half of the film? The movie sets up several what ifs, but brings no type of clarity to them at all. You couldn't even write a decent fan-fiction of this if you tried. The acting is fine I guess. Dane Cook is Dane Cook, except he can't do serious at all, not even a little bit. Brandon Routh I think is the strongest actor in the bunch, and he does what he can with his role. I am really not sure if Lotz and Feldman are really good movie actors yet, but they also do what they can. Tom Cavanagh shows up late in the movie and I thought to myself that the director must really enjoy all the DC shows on the CW. Watching Dr. Harrison Wells in knife fight against Ray Palmer who is also shagging Sara Lance was funny in theory. But if you aren't much of a TV person, those ideas will sail over your head. Its frustrating because I feel there could have been a decent thriller in "400 Days," but it never quite materializes. I think this happens because the filmmakers evidently had no idea how they wanted to end this, so they try the edgy road and leave the ending ambiguous. Its not though, the ending is a huge cheat. There is nothing about it that will make me want to think about it later. There is nothing about it that will make me want to revisit this movie again to search for clues. I hate it when an ending cheats me, and "400 Days" is positively ripe with cheats.